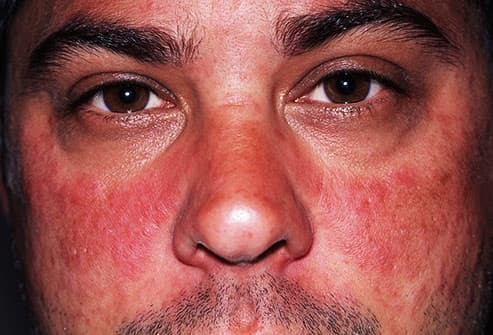 Pictures: What Does Your Face Say About Your Health? You’re really familiar with the face staring back at you. But a closer peek may show clues about your health -- if you know what to look for. This is jaundice. It’s when you have too much of a waste product your body makes when it breaks down red blood cells. It’s common -- and usually harmless -- in babies born before 38 weeks, because their livers aren’t mature enough to work the way they should. 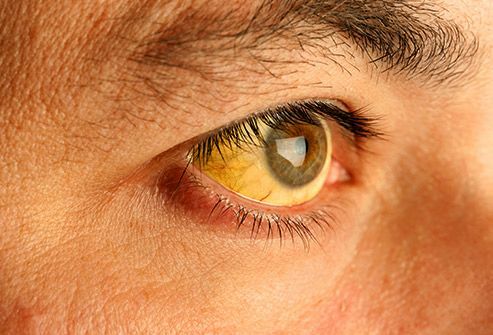 In adults, jaundice can mean more serious conditions, like viral infections (hepatitis, mononucleosis); problems with your liver, gallbladder, or pancreas; or alcohol abuse. Asymmetrical: Is the shape different on each side? Diameter: Is it larger than a pea? Evolving: Has it changed in the past few weeks? Talk to your doctor if you answered yes to any of these questions. 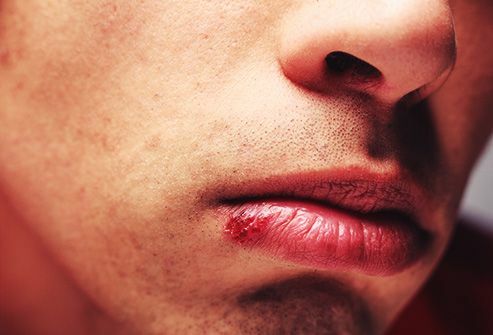 Ones around your lips and mouth are most likely cold sores, which are caused by the type 1 herpes virus. (Most people with oral herpes were infected from saliva as children or young adults, not from sexual contact.) Once you get the virus, it stays with you. Sores may break out when you’re sick, anxious, or overtired, or you’ve been out in the sun too long. They usually go away on their own, but if you have big or frequent outbreaks, your doctor may suggest medication. Everyone gets dry or cracked lips from time to time, especially in winter. Balms can help protect them and keep them moist. But sometimes, dry lips are a sign of a health issue, like dehydration -- when your body doesn’t have enough water. They can also be an allergic reaction or response to a drug, such as steroids. Most rashes aren’t serious and get better on their own, but this one is unusual. It covers both cheeks in the shape of a butterfly, and it’s a common sign of lupus. That’s a disease that makes your immune system attack your own tissues and organs. You may also have fever, achy and stiff joints, and fingers that turn blue in the cold. See your doctor if you have an unexplained rash, especially if it comes along with those other symptoms. It could just be a hair growing where you don’t want it -- that can happen to men as they get older around the ears and eyebrows, and to women around the chin. In younger women, facial hair can be a sign of polycystic ovary syndrome, a condition that can make it harder to get pregnant. Doctors call it ptosis or blepharoptosis. 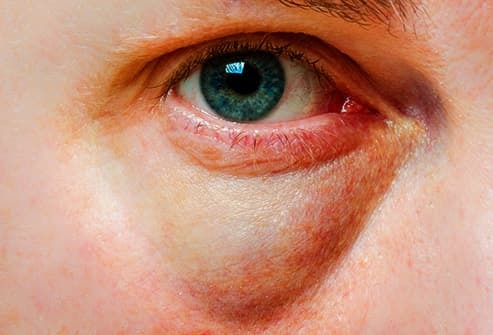 It can happen in one or both eyes -- in severe cases, your eyelid may block your vision. You may be born with it or get it over decades. It’s often harmless, but it can be a sign of problems with your brain, nerves, or eye socket. See your doctor if it happens in days or hours, or if you have double vision, weak muscles, trouble swallowing, or a bad headache -- those can be signs of a stroke. If you can’t move part of your body, get medical help right away. 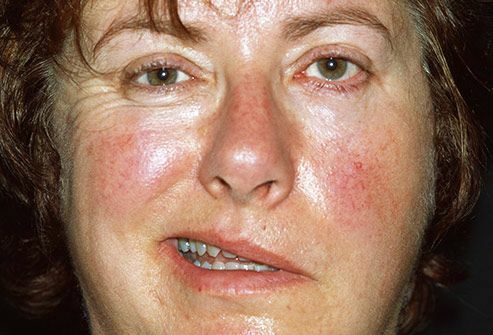 But if you don’t have other symptoms, it's probably Bell’s palsy. It happens when something -- probably a virus -- presses a nerve that controls muscles in your face or makes it swollen. 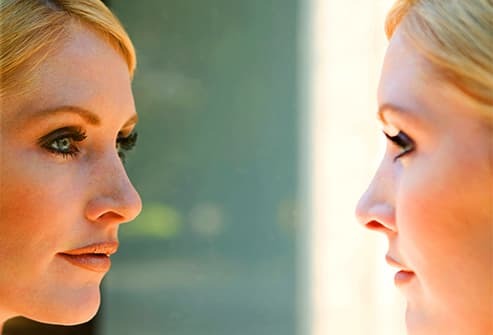 It shows up over hours or days and usually weakens a side of your face. You also may have pain in your jaw and behind your ear. Usually, it's not serious and gets better in 3 to 6 months. 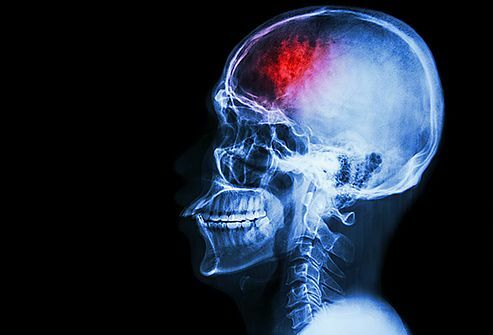 A stroke happens when the blood flow is cut off to part of your brain because a blood vessel bursts or gets blocked. Get medical help right away if you notice any of these signs of one: the lower part of your face is suddenly paralyzed, or you have numbness or weakness in your arms or legs, slurred speech, double vision, dizziness, or trouble swallowing. 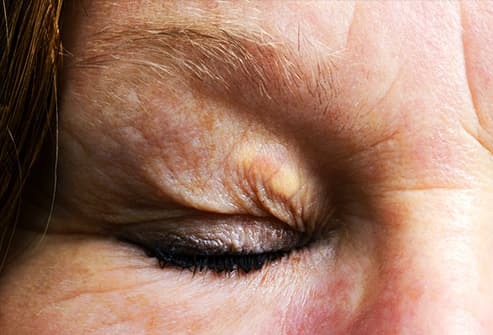 These raised yellow bumps on and around your upper and lower eyelids are called xanthelasmata. They’re made of cholesterol, and while you may not like the look of them, they’re not dangerous or painful and usually can be taken off. But they can be a sign that you’re more likely to get heart disease or have a heart attack, so it’s a good idea to see your doctor for a physical. 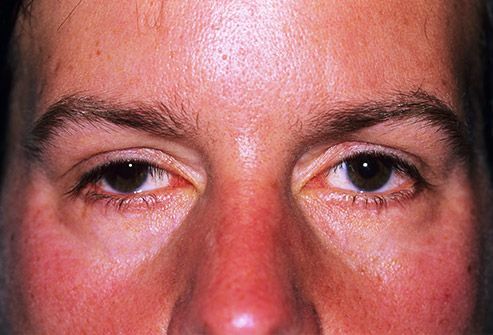 The space below your eyes can fill with fluid, which can make them look swollen or puffy. Hot, humid weather can make your body hold on to more water, as can lack of sleep, too much salty food, and hormone changes. It happens more often as you age because muscles that support your eyelids weaken. If your eyes are red and itchy, it may be an allergic reaction to food, pollen, makeup, fragrances, a cleanser, or an infection like pinkeye. 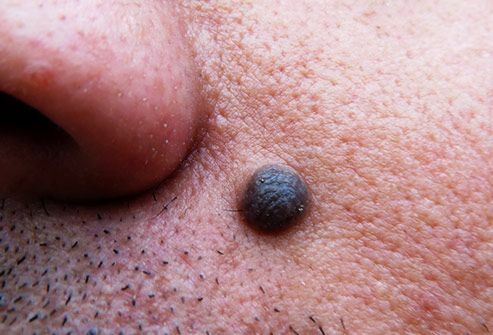 This causes gray-brown patches of skin on your face. Doctors don’t know exactly why it happens, but it can be triggered by things like pregnancy or taking certain birth control pills. 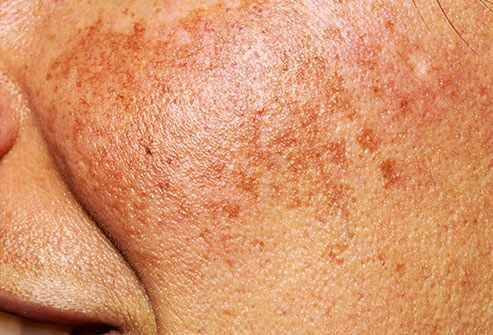 In those cases, melasma often fades on its own after the baby is born or the woman stops taking the pills. In other cases, it can last for years. But medicines and other treatments, like chemical peels, can help. If you’re losing your eyelashes or eyebrows, along with patches of your hair, it can be a sign of a condition called alopecia areata. It happens when your immune system mistakenly attacks your hair follicles. 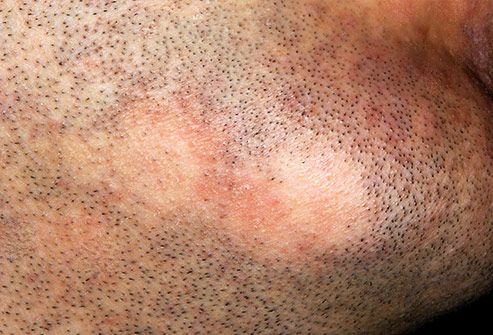 There’s no way to prevent new patches, but talk with your doctor about medication that might help your hair grow back.